There are 14 online now! 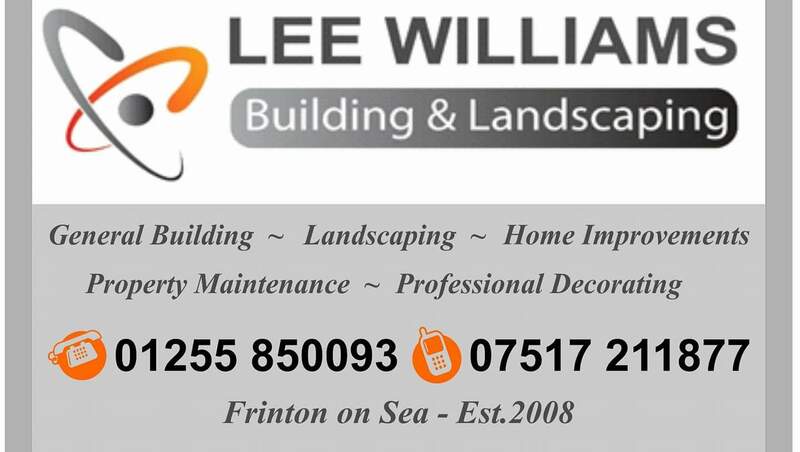 Local Tradespeople in and around Walton-on-the-Naze - If you have used a local tradesperson and would like to recommend them, please e-mail the details to the Admins on the contact page or go to out facebook page at https://www.facebook.com/groups/walton.net/ and post an entry about them. Beauty, Tanning & Nail Salon. 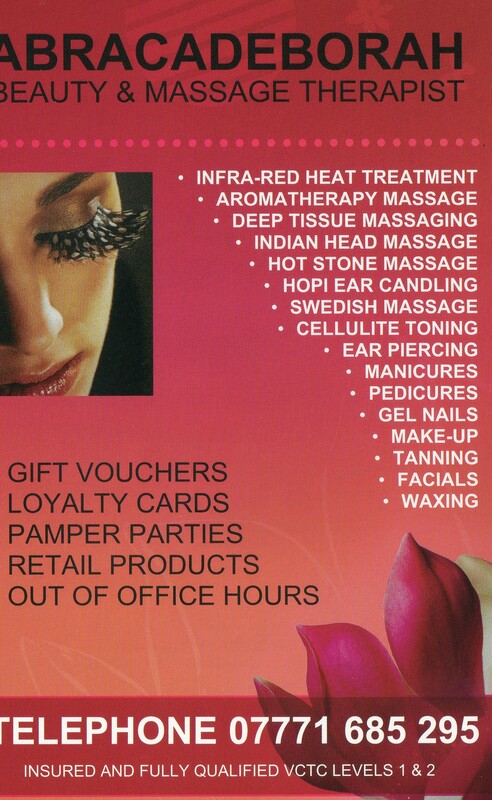 Facials Waxing Eyebrows Manicures Pedicure Eyelash extensions Massage & Hot Stone massage Microdermabrasion Indian Head massage Hopi ear candling Spray tan Acrylic nails Gelish nails We only use OPI nail products & Gelish. 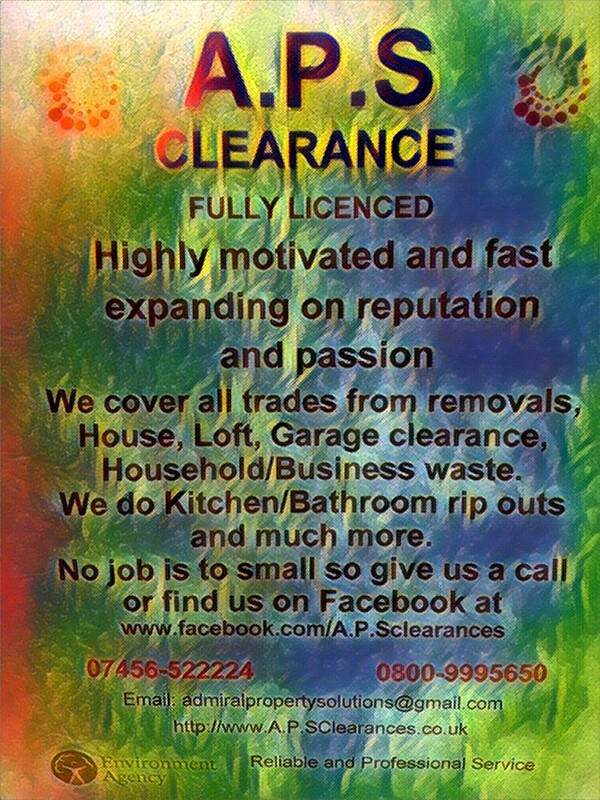 A.P.S Clearances is a family run business and been run over last few years. 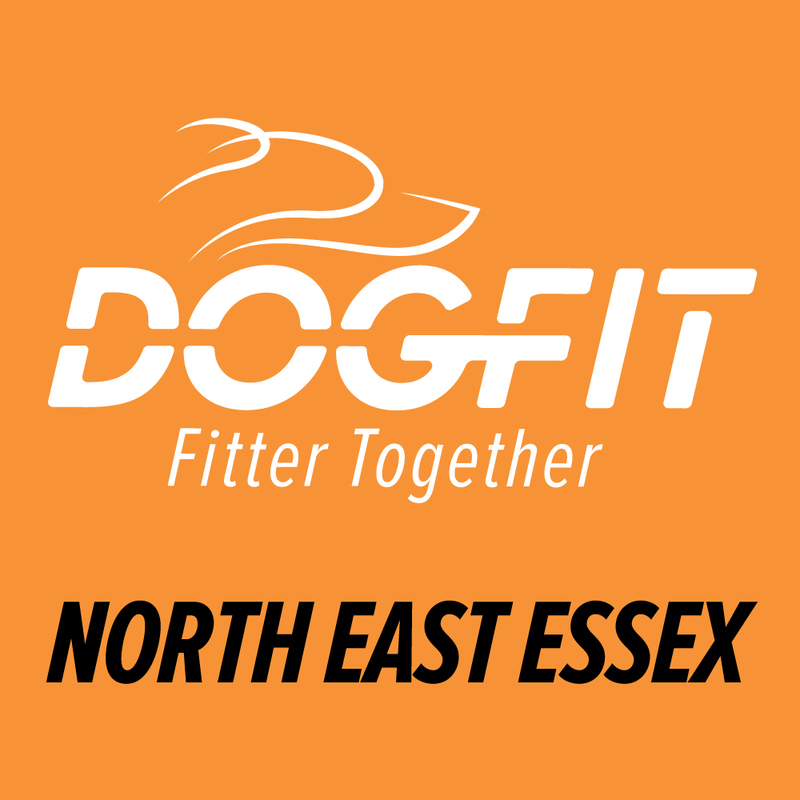 We are highly recommended on facebook in and around Chelmsford. We have started to expand. Our services are: House Clearance, Garage, Loft, Garden Clearances etc.. House/ Office Removals, Gardening/shed rip-out and maintaining. Kitchen/Bathroom rip-outs. Scrap metals. We don't take any hazardous waste but we can take old fridge freezers. To find out more click my new website or feel free to look at my page... www.facebook.com/A.P.SClearances. No job too small, Odd Job Dan is your man! Aardvark Travel can provide an airport taxi whether you are off on holiday or a frequent flyer. Our aim is to make your journey as stress-free and relaxing as possible. 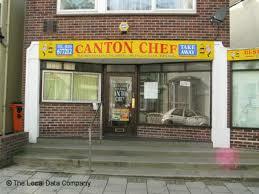 We cover all local surrounding areas, such as Clacton, Harwich, Frinton, Ipswich and more. We are also fully licensed by Colchester Borough Council and have cars available and minibuses that can carry up to 8 people, with lots of room for luggage or golf clubs! Our vehicles are luxurious, modern, clean and air-conditioned. We offer our professional services to you, our customers, with the aim of making your journey to and from your destination a comfortable one. Our promise is that we will always be on time and we do not charge for flight delays because we check the flight landing time. I have my own in house Facilities to allow the quick and efficientrepair and restorationof all items of jewellery " no job to small or to big " MY SERVICES: Polishing and Rhodium plating, Jewllery valutaions,Watch repairs and Batteries specialising in Cartier,Rolex and all prestige watches.Free Verbal Valuations and Qoutes and estimates.Bespoke Jewellery designed and made the tradional way. 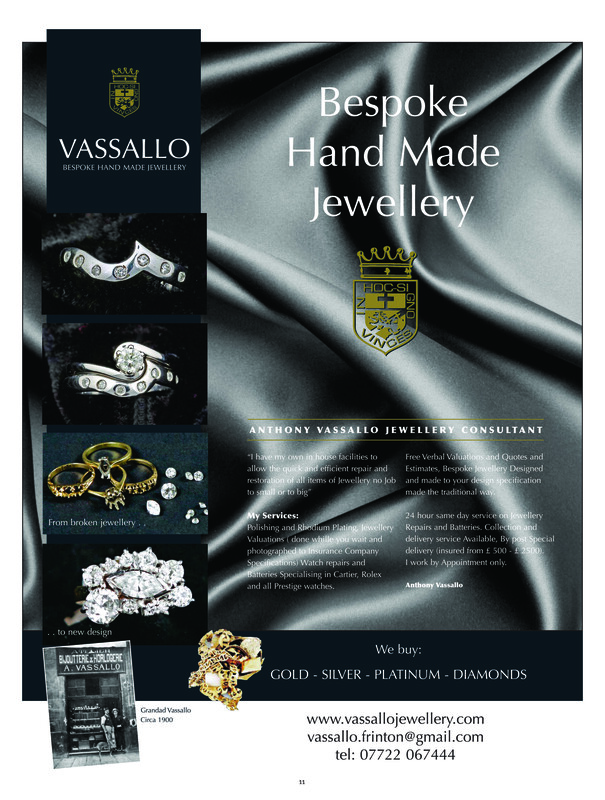 24 hour same day service on jewellery repairs and batteries collection and delivery service avaliable. 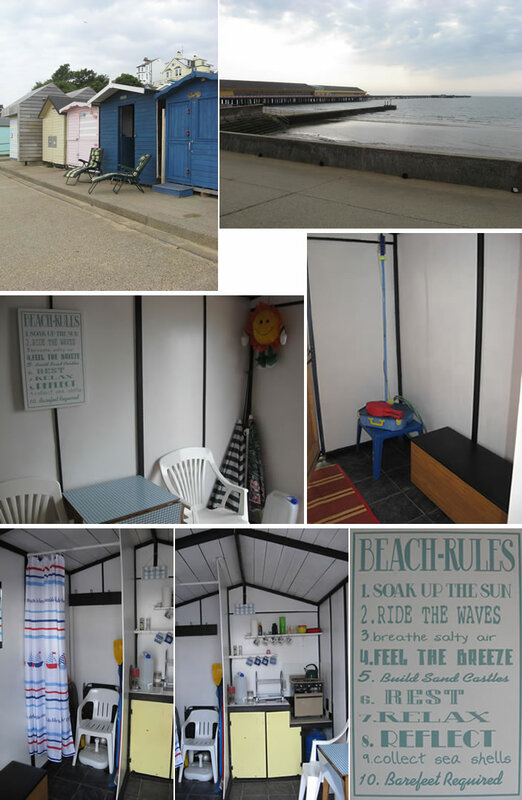 BEACH HUT TO LET - FRONT ROW SOUTHCLIFF - CLOSE TO PIER - £35 PER DAY. We stock a large range of school shoes and plimsolls, slippers (up to size 16), wellingtons, work shoes, bowls shoes, Extra wide shoes in widths EE, EEEE and EEEEEE, stockists of Rieker Shoes (leading brand in comfort). 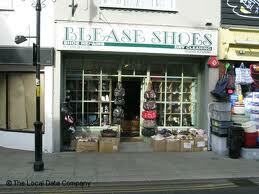 We are also agents for dry cleaning and shoes repairs. We can also arrange alterations at a very reasonable price. 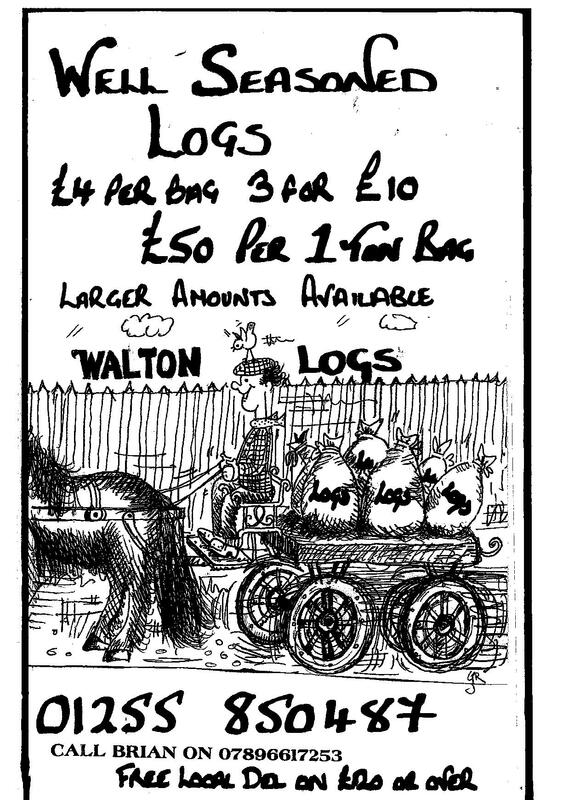 Please feel free to come in and have a browse in one of Walton's oldest running business, family run for over 125!!!! 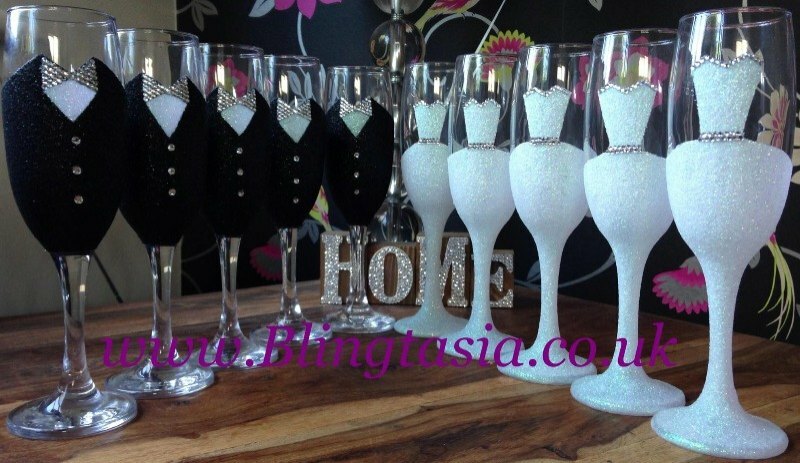 Blingtasia is a leading company in bespoke glitter glassware. Your local builders, plumbers and complete home renovation service. No job too big and no job too small. Anything from hanging a door to building an extension. Please contact us for a free quote. 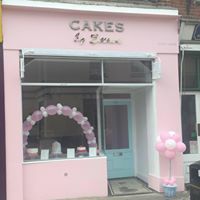 Beautiful Bespoke cakes cupcakes cupcake towers for all occasions come and visit my beautiful shop or message me. 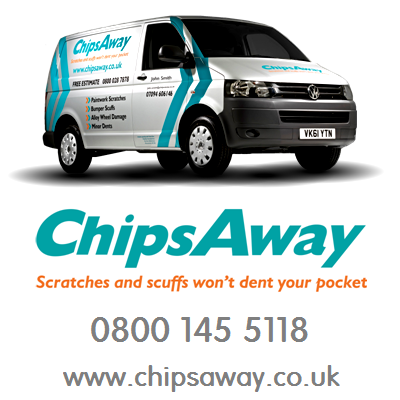 ChipsAway's unique automotive paint repair system can complete minor car body repairs such as bumper scuffs, paintwork scratches, minor dents and kerbed alloy wheels without re-painting the entire panel/wheel! If you have any minor damage, why not give us a call for a free, no obligation estimate! 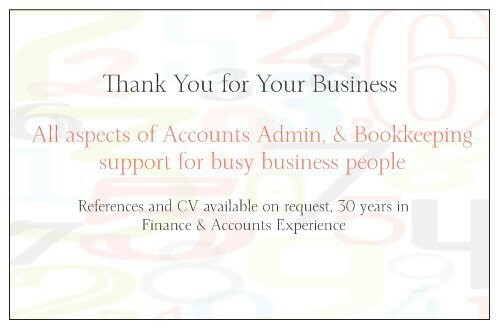 I am a Professional Freelance Accounts Person, with 30 years of accounts and finance experience. 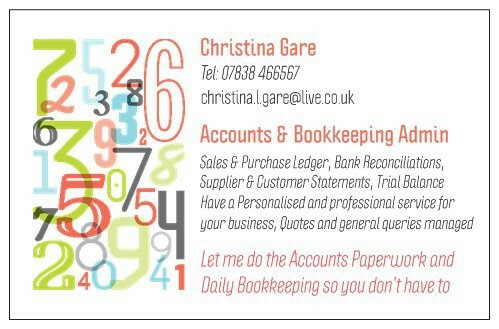 If you are either a busy business person running your own company as self employed or a established company that requires some accounts assistance part time or on an adhoc basis, I am here to assist. Full experience in Purchase Ledger, Sales Ledger, Daily Bookkeeping duties and accounts administration. Bank reconciliations, raising invoices, providing orders or quotations, management accounts and excel reporting, streamline accounts processes, I am very Professional and generally all aspects of general accounts work completed. Excellent excel and spreadsheet knowledge, the use of many accounts systems used. Can assist in setting up excel files and organising computer files, dealing with those accounts queries. Does anyone need any hand knitting done? 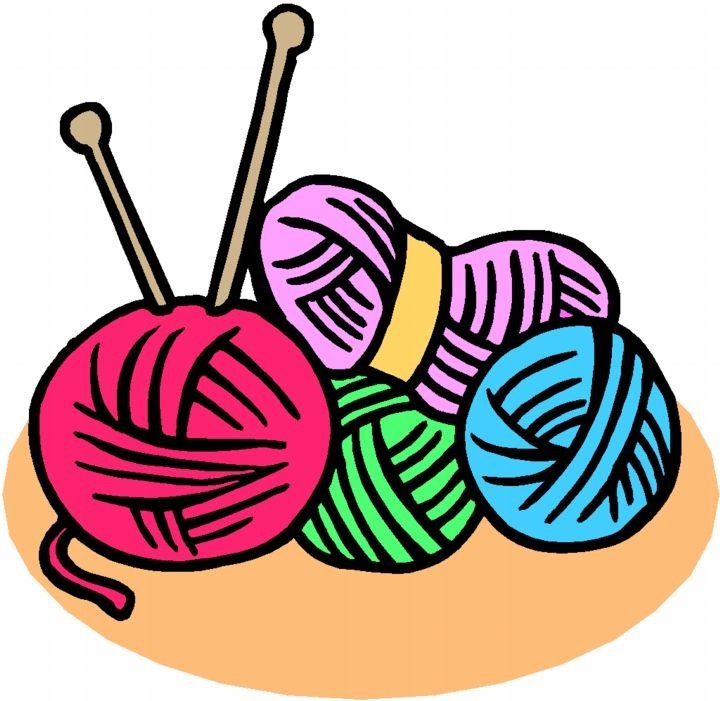 Experienced in most stitches including Aran and intarsia (picture knitting). Plenty of time on my hands to get things completed. 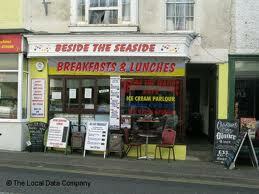 Crossroads are a small charity that offer respite breaks for full time carers. We try our best to offer clients a service on the same day, at the same time, with the same carer every week so that relationships are built and it becomes part of the cared for's routine. 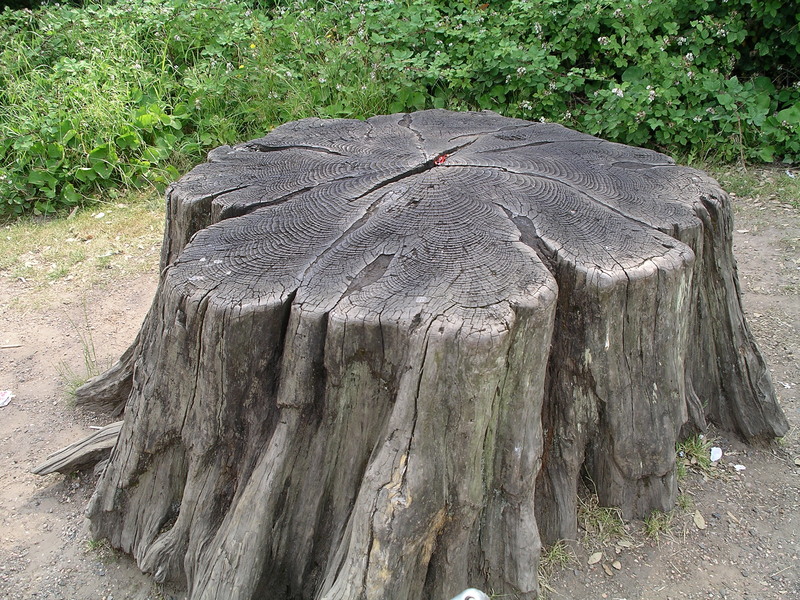 Tree stump removal over 20 years experience, also general garden maintenance. Free quotes on request, very competitive rates and friendly service. 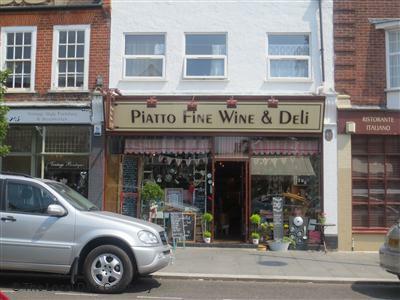 David is a friendly person who likes to get on well with both customers and friends. 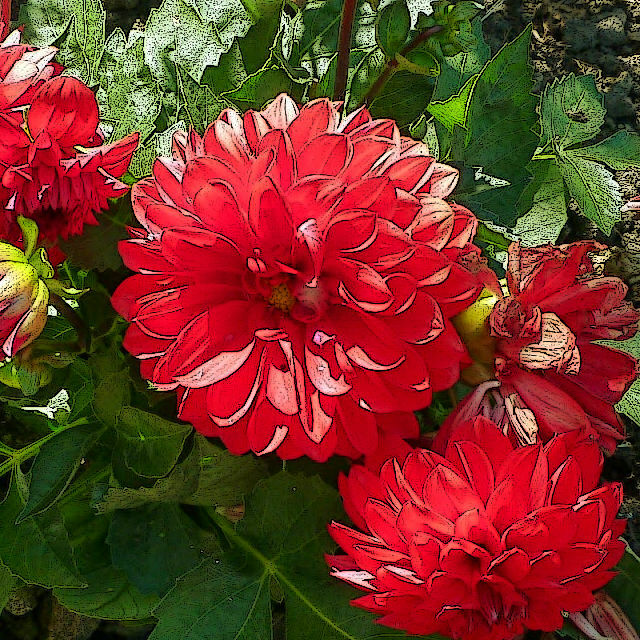 David's Garden Maintenance provides plenty of services to his valued customers. 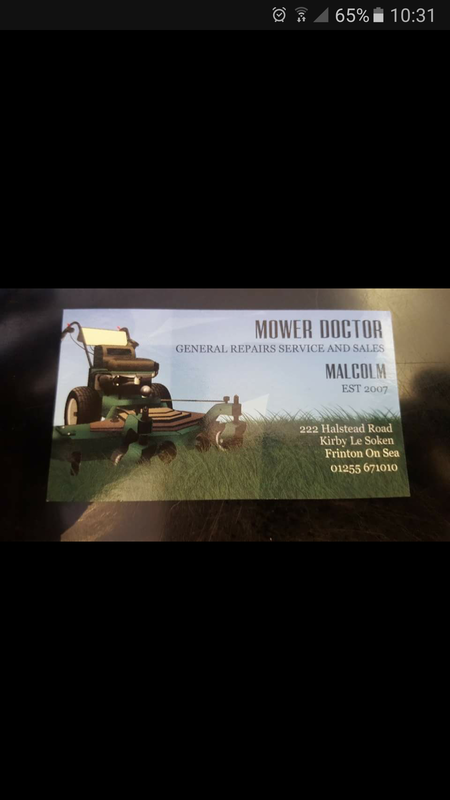 These services include: Grass cutting Pruning of shrubs and hedges Weeding of borders and hard surfaces Fence, gates and shed maintenance Garden clearances Other gardening duties David provides reasonable rates per hour and one-off job quotations. 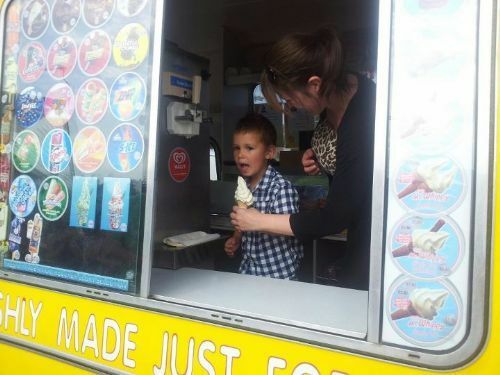 He can set up an "all year round" regular maintenance program with new and existing customers. 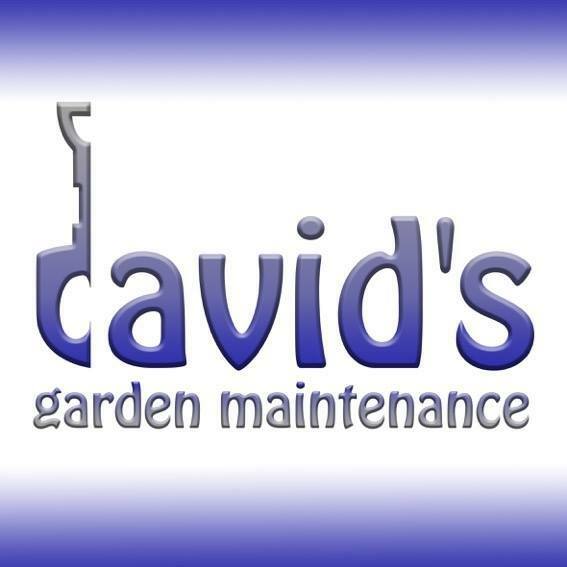 David's Garden Maintenance is expanding and David is now offering services to Walton-on-the-Naze as well as other surrounding areas in North Essex. 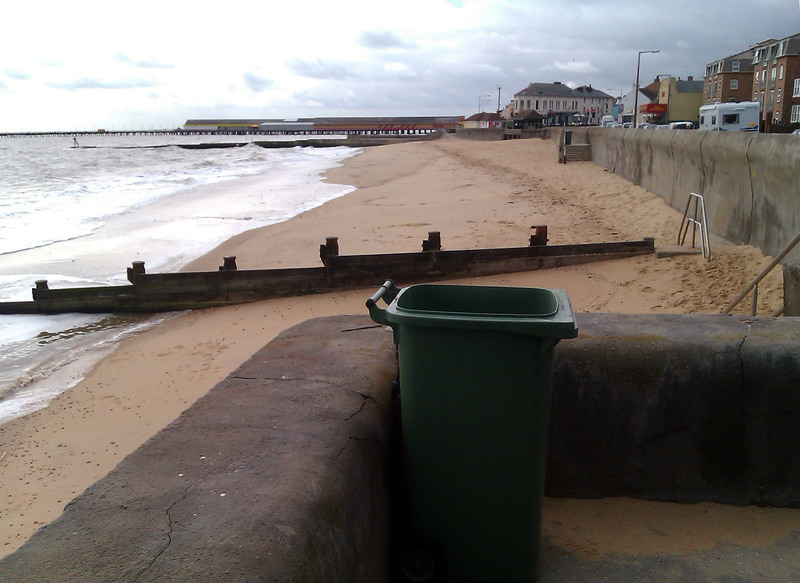 Descent Drains covers the Clacton on Sea, Frinton on Sea Area and covers Essex and Suffolk for blocked drains, cleaning drains and unblocking drains. With high pressure water jetting equipment on the back of the vans that will jet water at up to 3500 psi out of a reinforced hose for DRAIN CLEARANCE AND DRAIN UNBLOCKING.This will work its way through almost any blockage you would find down a blocked drain. With a camera system that will record on to DVD, this can be used for Insurance and many other types of Surveyance Work, also sonar equipment for Drain Route Tracing and Drain Damage Location. 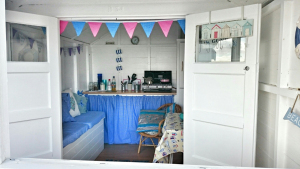 Vintage Style, newly refurbished beach hut - Doll's House, 34b Southcliff, Walton the Naze. Located on the 2nd row directly behind the ice cream kiosk, it benefits greatly from being situated in a secluded almost private patio/path area. A real HIDEAWAY! 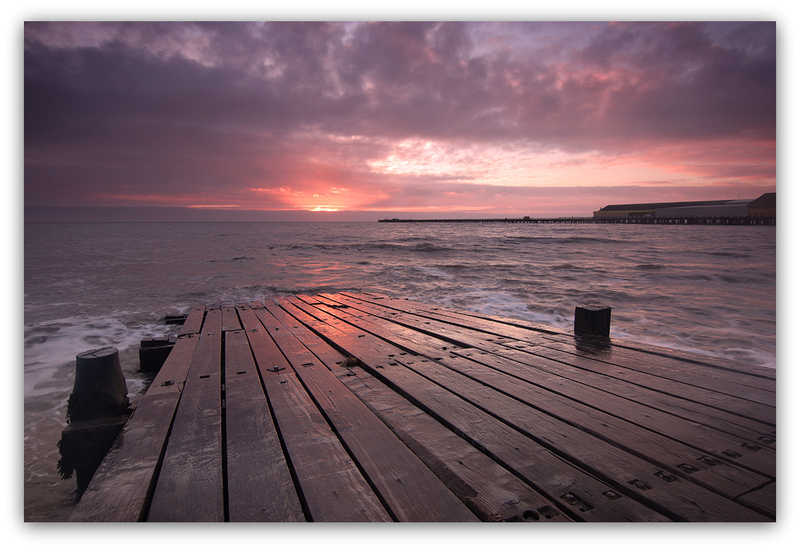 With lovely views of the pier. Extremely close to the water tap and beach with its beautiful outlook. Close, but far enough away from the Pier and toilets. Facilities include, but not limited to: Gas hob, kitchen equipment, crockery, cutlery, water containers, windbreaker, first aid kit. 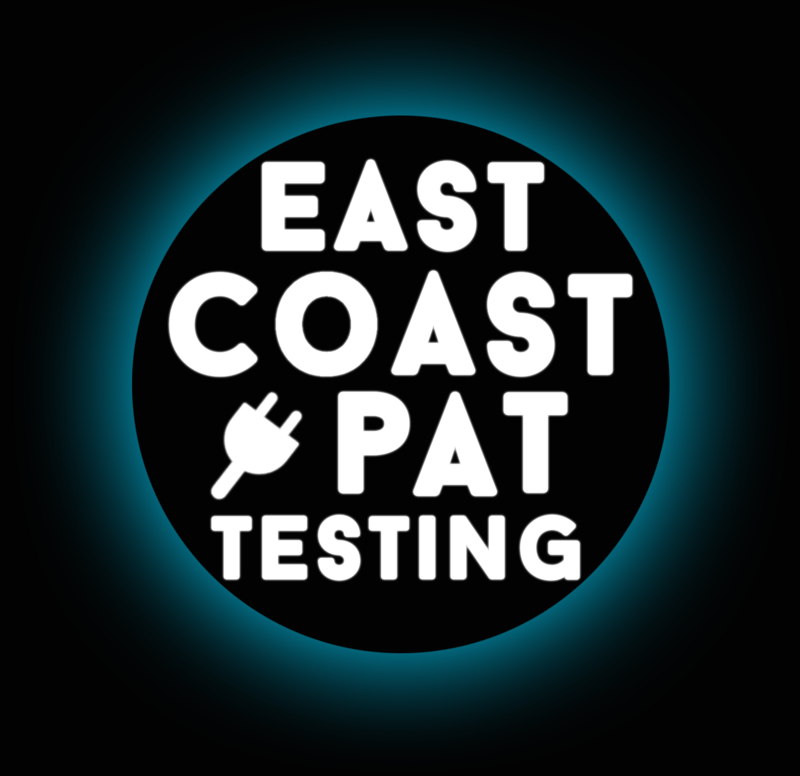 Covering Essex and Suffolk, EAST COAST PAT TESTING is a Dedicated PAT Testing business, EAST COAST PAT TESTING can offer PAT Testing at any time of the day or night. (with prior arrangement) PAT Testing can be done, during business hours, before business hours, after business hours and weekends, Our Goal is to minimise disruption to YOUR BUSINESS. Efficient Friendly Service. Feel free to contact me to discuss your needs. ELITE FOUNDRY IND.EST. HALL LANE, WALTON-ON-THE-MAZE. 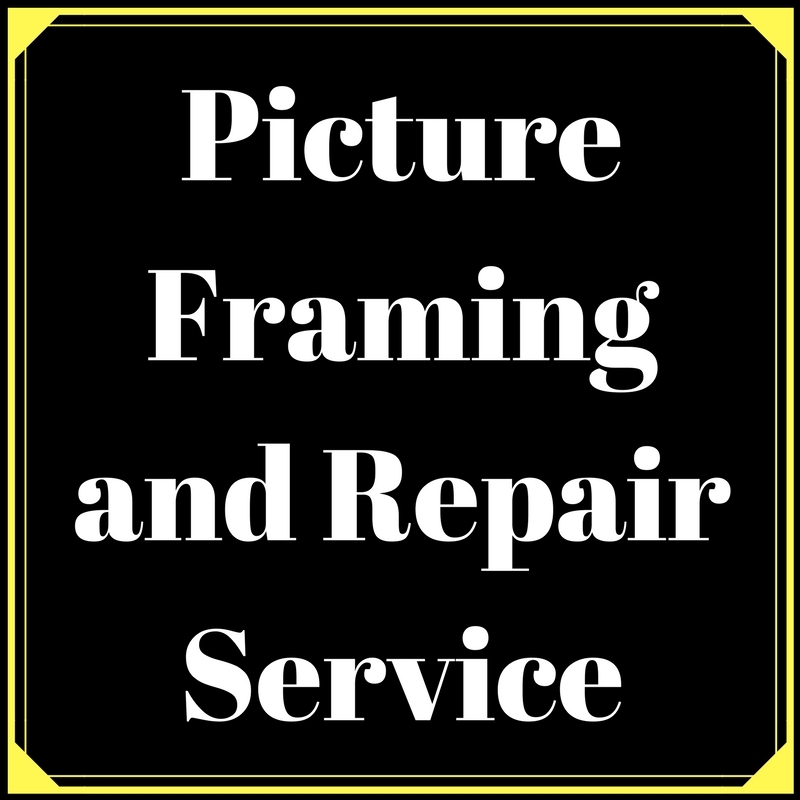 Gramps Picture Framing is a bespoke framing service based in Frinton-On-Sea. We frame photos, canvas, sports shirts, memorabilia, tapestries, paintings and much more. We hold training certificates and all of our work is carried out to the Fine Arts Trade Guild Standard. 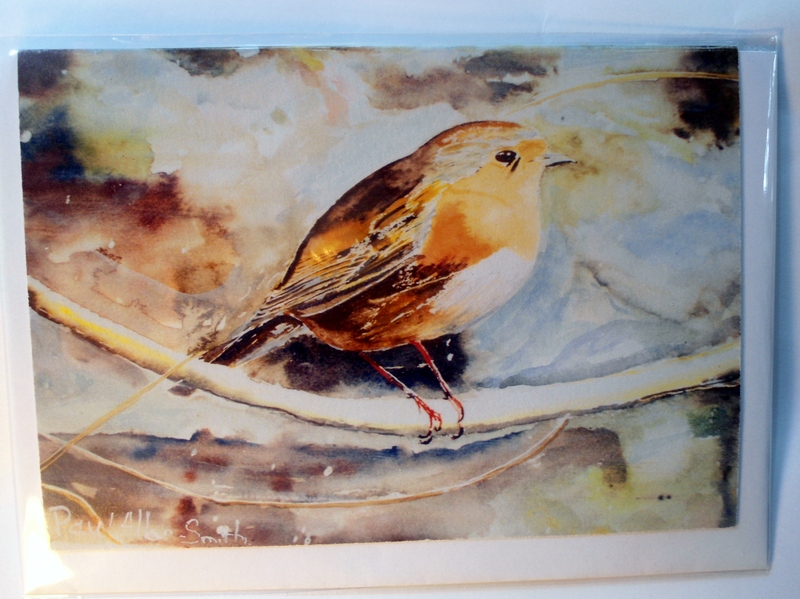 Please feel free to take a look at the gallery page on our website for examples of our work. 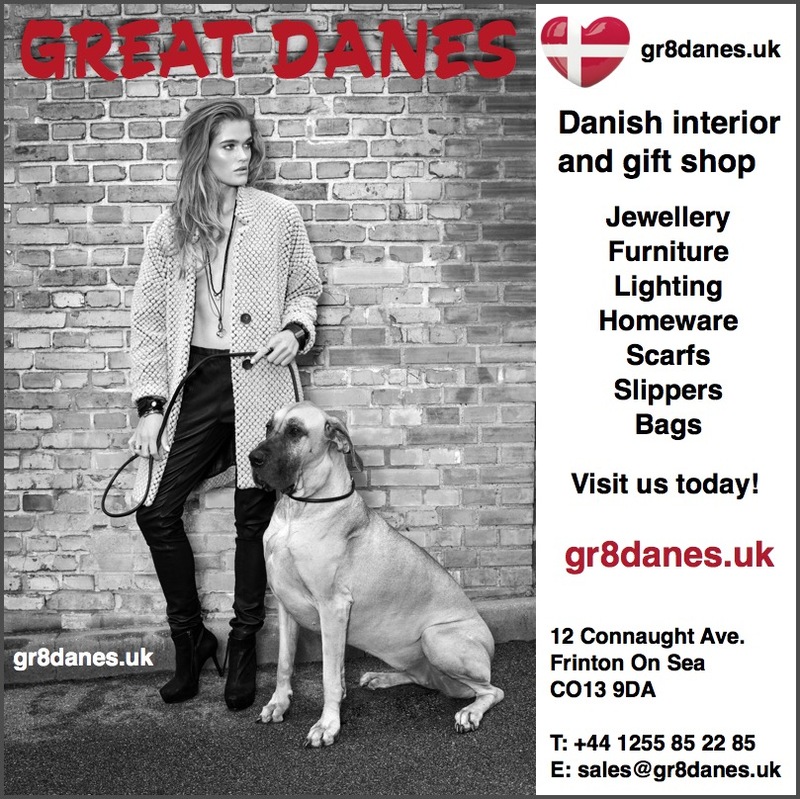 Great Danes is a shop that celebrates Danish design and products. 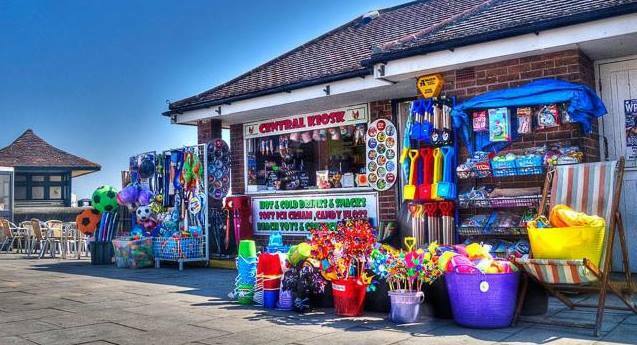 It's a shop full of things you don't need, but can't live without. Shop online 24/7 - open daily during the summer. 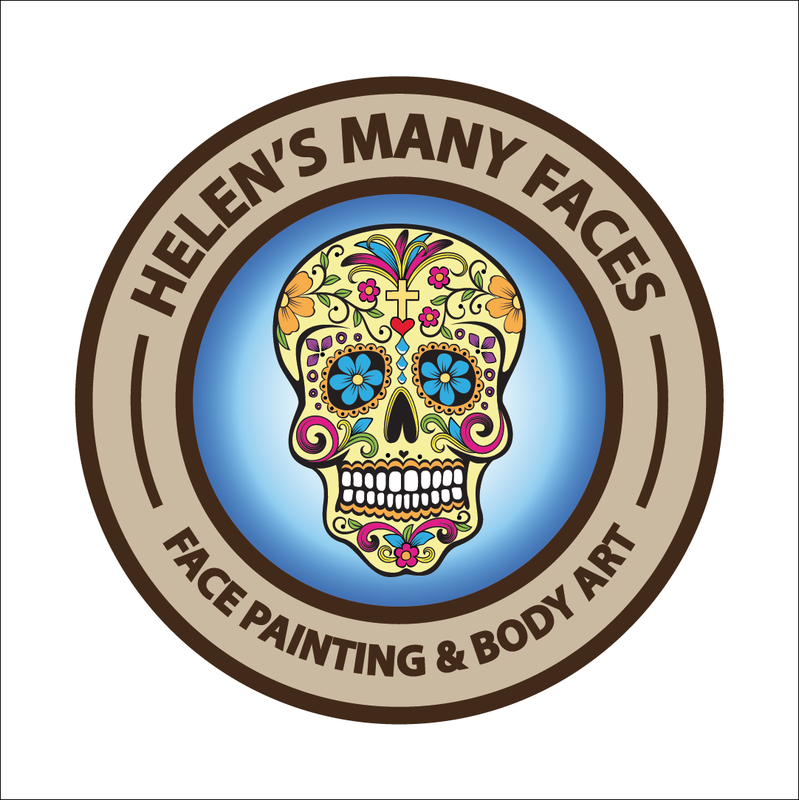 Face painting for all occasions from private parties, corporate events to one off designs for dressing up/fancy dress. I also do body art and pregnancy bump painting, an ideal gift to any mum to be. Please feel free to contact me regarding quotes/questions. 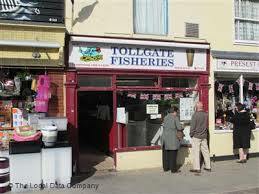 Established company serving Tendring and surrounding areas for 28 years! 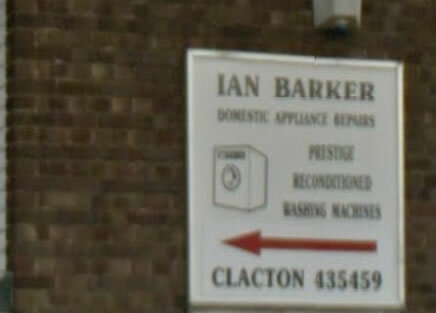 Ian Barker Domestic Appliances, is a well established company that has built up a enviable reputation over the last 28 years. 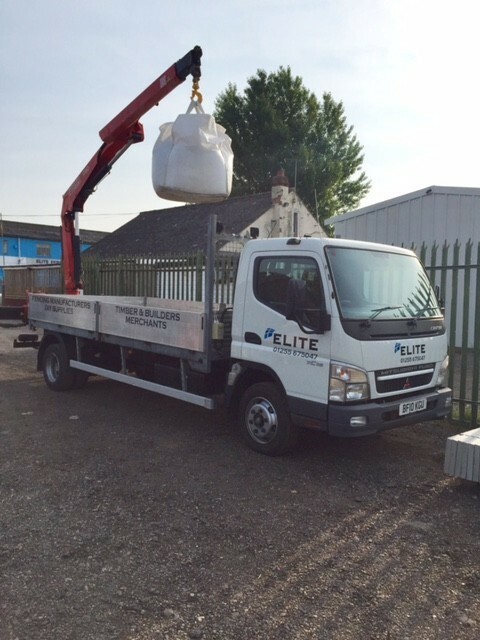 We pride ourselves on our commitment to provide a professional and speedy service at all times whilst maintaining the highest quality of work. Offering an abundance of expertise on most makes of washing machines, T/ dryers, D/washers, Electric cookers / hobs. Our business operates from our workshop on Gorse lane industrial estate, offering a selection of reconditioned appliances, we can also supply new machines, we are very competitive on our price package of supply and install. we are fully licensed for reconditioning and disposing of electrical waste. without a licence is a offence. 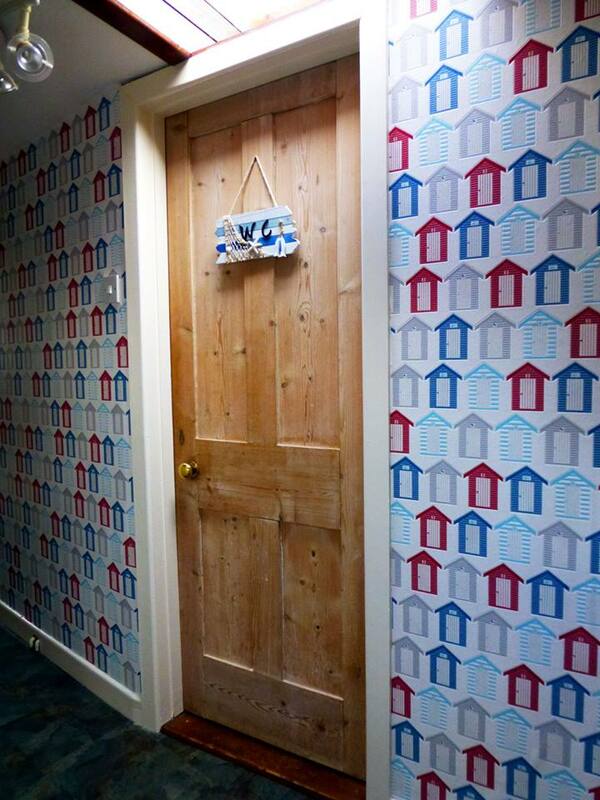 We take on contract work for Landlords, property agencies, hotels, schools, residential homes, etc. Inquiries welcome with friendly advise offered. No job too small give us the experts a call. Looking to treat yourself this winter? Have some affordable luxury by booking a massage with me, one hour for only £20. Right now, I have a January deal, where if you buy 5 sessions, you get one free! I'm a qualified sports therapist based in Walton who also does mobile massage so that you can stay in the comfort of your own home! I can do either sport or therapeutic massage, and you can design the massages to suit you. The standard full body, one hour massage covers the legs, back and arms. If you're interested or have any questions at all, please contact me. 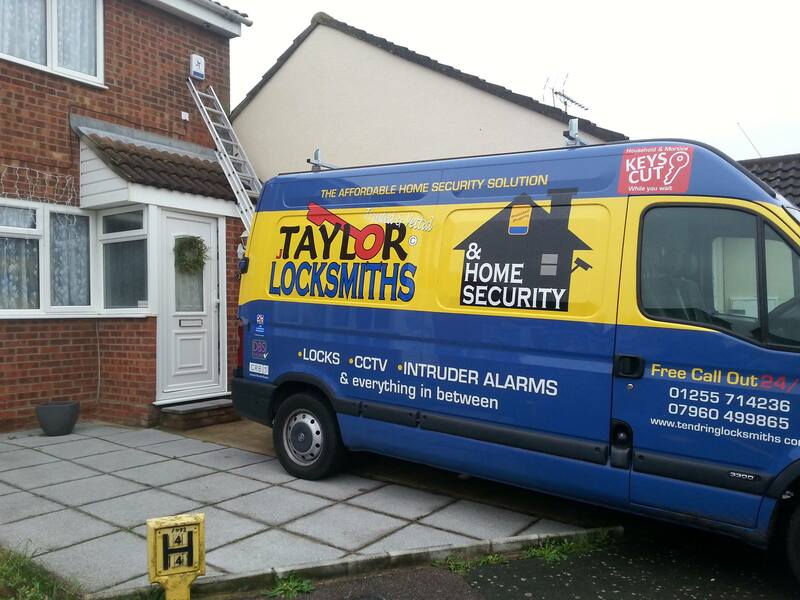 From Bathroom locks to intruder alarms we do it all. I’m Kelsie – a creative wedding photographer in Essex specialising in fun, documentary-style wedding photography. If you’re looking for a photographer for your formal, traditional wedding then I’m probably not the right fit for you. 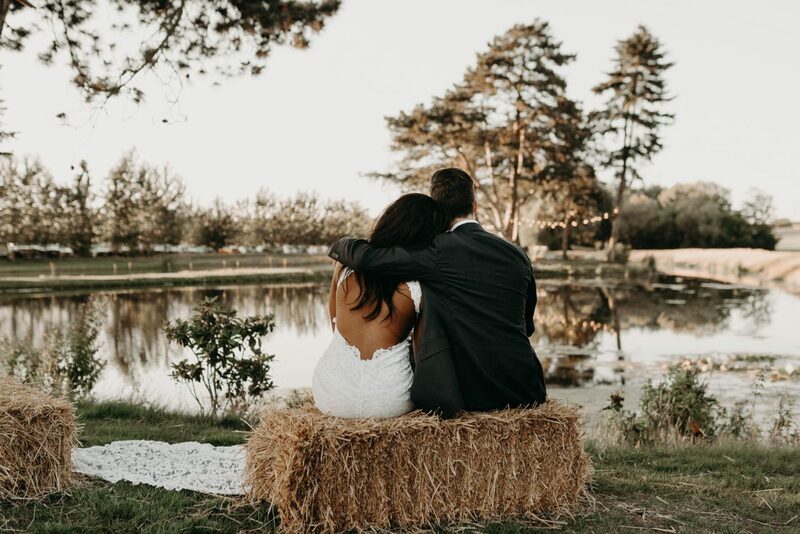 My approach is much better suited to those ‘going against the grain’, doing things their own way and planning an unconventional wedding day that is so much more personal to you as a couple! My style as a wedding photographer is super relaxed and I won’t ever make you feel intimidated by being in front of the camera. I’m all about not taking myself too seriously, having fun and capturing true, spontaneous emotion as a result. Growing up I spent most of my days out in the open, exploring the countryside and practically living at the beach, I love nothing more than being outdoors. I think this is what always pulls me towards wild weddings, where the only roof is the sky and the walls are fields of grass. I’m inspired by the feeling of being free and my couples often share this desire. Exploring new places is something I adore and I’m always excited to see where my career will take me next. Whether you’re planning to get married in Essex, Suffolk, London or a destination further afield, please feel free to get in touch with me and discuss your exciting ideas! LD Computer Services is a reliable, high quality provider of Support and Computer Repair services for both domestic and commercial clients. 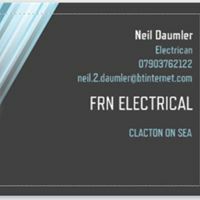 Frinton based, we work with individuals and companies across Essex to provide vital IT support, whatever the requirements. We also provide Website Services too! Get in touch for details! 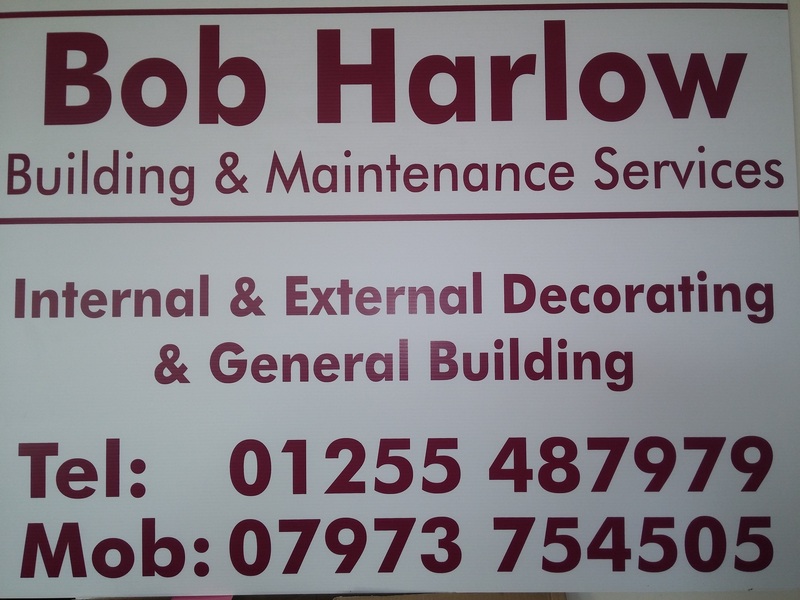 Providing various building and maintenance works at competative prices. 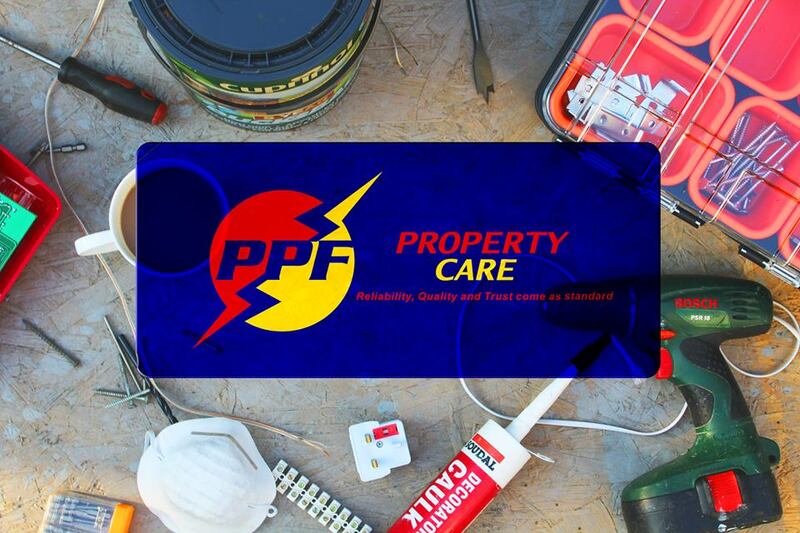 Building contractors and let property maintenance specialists. Lime Rock is a home improvement service that covers minor jobs in the home through to refurbishing kitchens, bathrooms and remodelling all living areas. Do your feet need a treat - routine podiatry treatment for nail cutting, corns, callus removal,verruca treatments,ingrown toenail. 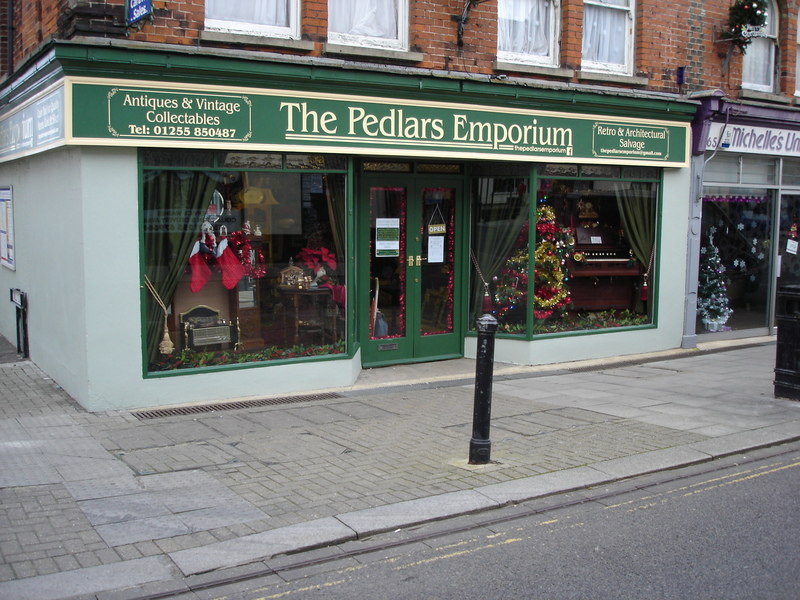 Cosmetic podiatry - reconstructed toenails, spa foot treatments, medical pedicures. Specialist biomechanics - bespoke insoles,sports injuries, aches and pains. If you need advice please pop in and see us. 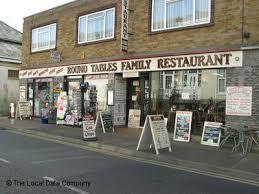 We are available at Holland and Frinton. I'm looking for 5 distributors to join my team working from home full/part-time if your interested you can add me to your face book page and browse these amazing products on my web. 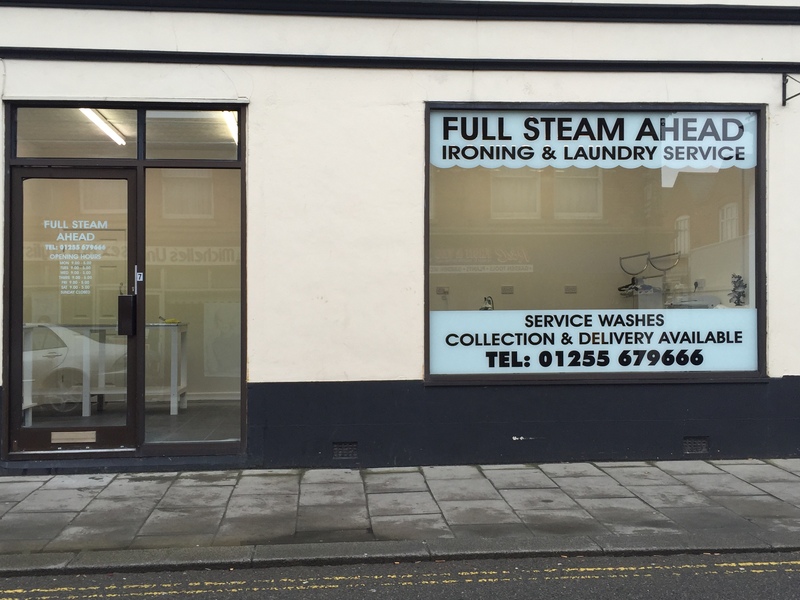 A family run laundry and cleaning service, tailor made to suit your needs to the highest of standards. If you are looking for the complete laundry or cleaning service then you have come to the right place. 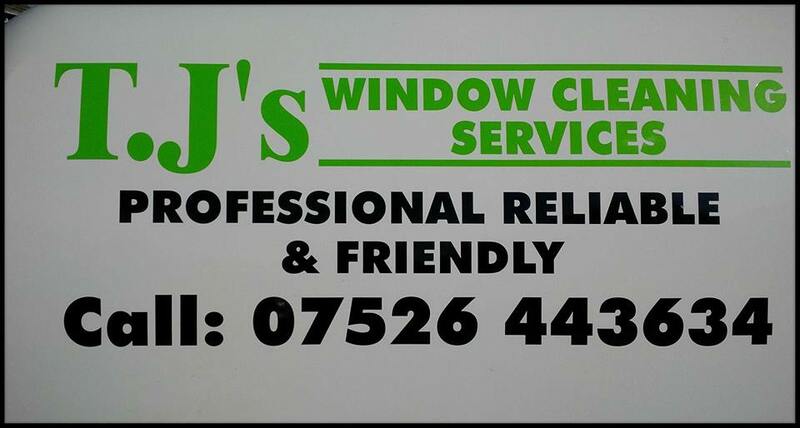 As a family run local company we offer a professional, quick and reliable service at unbeatable prices. We can do whatever you require. 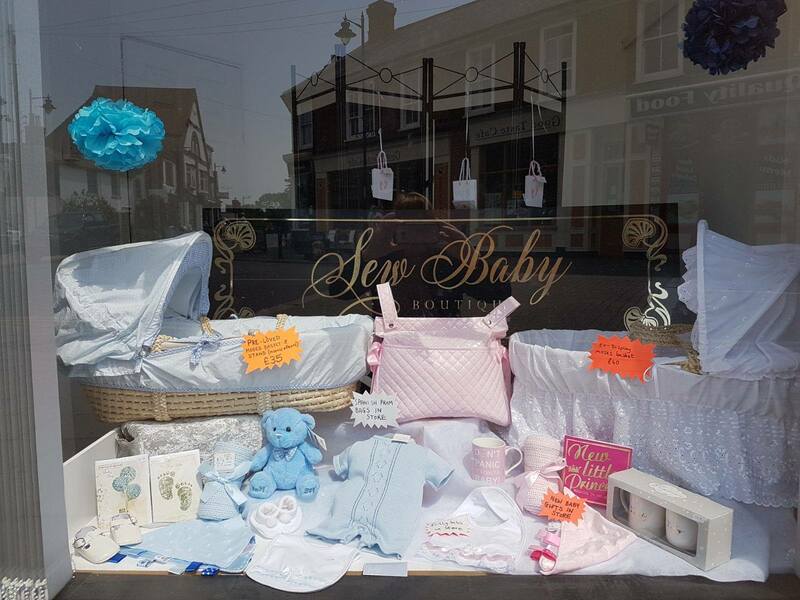 Simply give us a call or drop your items off at our shop and we can do the rest. You don't even have to leave the house, we will pick up and return free of charge. 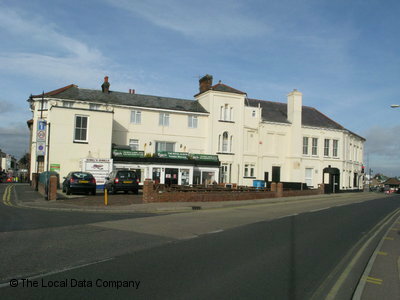 2 Seaview cottages, Oakley road, Little Oakley, Harwich, co125du. Marks Valeting offers a mobile valeting and detailing service. 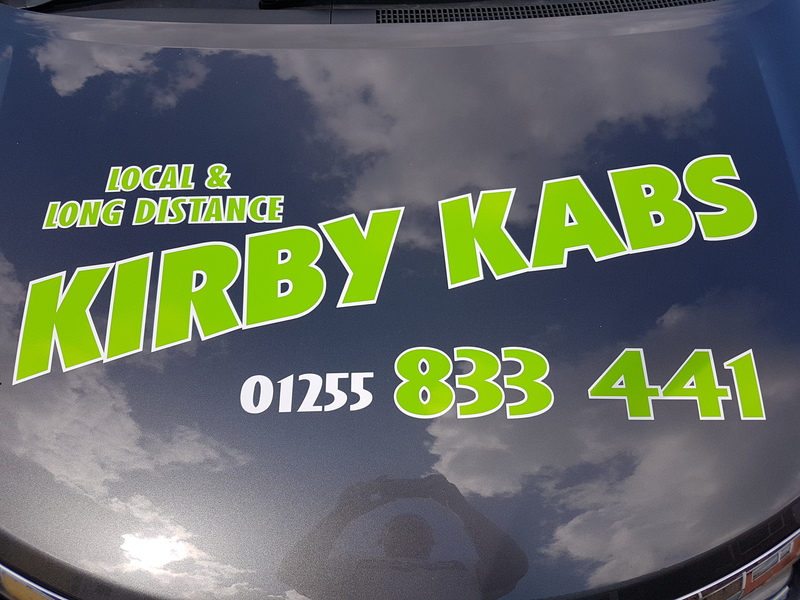 Headlight restoration, mini valets, full valets, deep cleans, machine polishing and light paint correction, upholstery shampoo, leather cleaning and conditioning, soft top clean and protect, car washing using safe methods and products, nano polish and waxes, please note this is not a £5 quick car wash! I take time and pride in my work. Local wedding photographer specialising in documentary styled photography. We also provide children / family photo shoots and can also do pet portfolios in your own home or accompany you on your favourite walk . We are a friendly, local company hiring out lookalike Mascots for you to enjoy! With a range to choose from, you won't hesitate to add a little extra fun to your party, event or fundraiser. Prices start from just £25 per day for costume hire, and £50 per half hour with a professional actor. 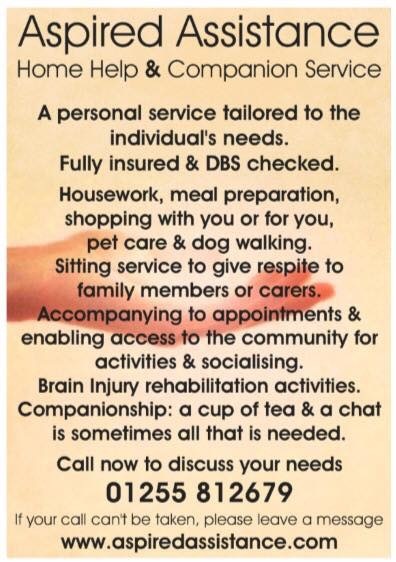 Home Help & Companion Service in the Tendring District. Hi, my name is Michelle, I have been working in the travel industry for over 25 years and as a personal travel counsellor for over thirteen years. Have you ever thought about how wonderful it would be to have your own personal travel expert? Someone you can call on at a time to suit you, someone who can offer you the best value holidays, and a consistently high level of personalised service? I specialise in tailor made holidays, and love creating itineraries that tick all my customer's boxes. Whether that may be a short break to Europe, a London theatre break or something completely different. I can literally create your perfect holiday for you anywhere in the world! Travel is my biggest passion in life and I have been very fortunate to have experienced many countries all over the world. It is difficult to choose a favourite place but some of the highlights of my travels include seeing grizzly bears in the wild in Canada, climbing the Sydney Harbour Bridge, standing in front of the Taj Mahal and swimming with dolphins in Jamaica. I will look after every element of your holiday, from the early booking stages and even after you have returned home. I will take care of every detail to ensure your holiday provides you with memories that last a lifetime. If you have any holiday aspirations and you're unsure as to where to begin with them, start by calling your personal travel counsellor. Cooked to order, lunch and afternoon snacks. 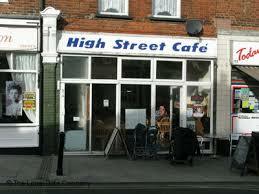 All day breakfast, Tea, Coffee, Burgers, soups, jacket spuds and more. 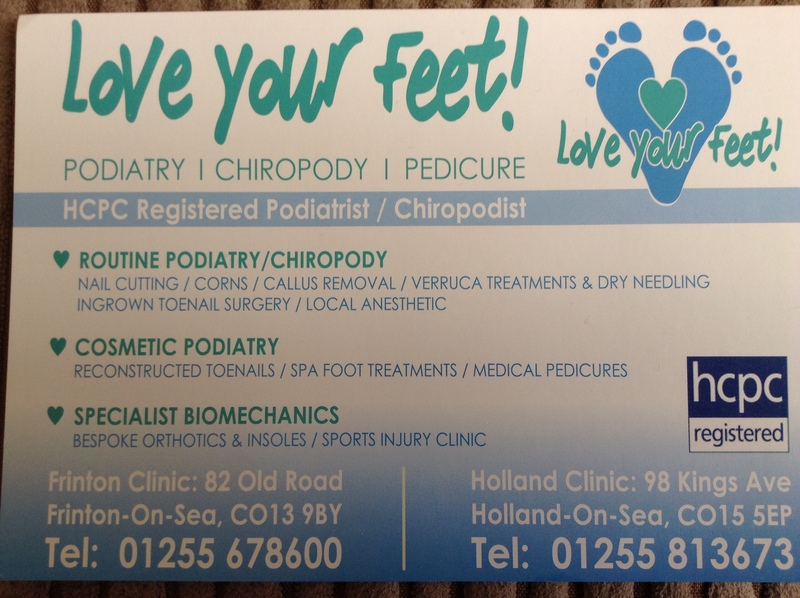 Routine podiatry - nails cut, corns, callus, verruca, ingrown toenails. Cosmetic podiatry - reconstructed nails, spa foot treatment, medical procedures. Specialist biomechanics - foot pain, bespoke orthotics, sports injury. Please give us a ring, Or pop in, and we will try and help. We look forward to hearing from you. No job too small, Odd Job Dan is your man! 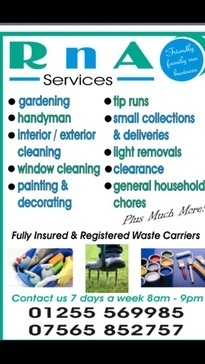 Goods transportation Garden clearance Rubbish clearance Exterior cleaning Dump run Leaf clearance and much more! 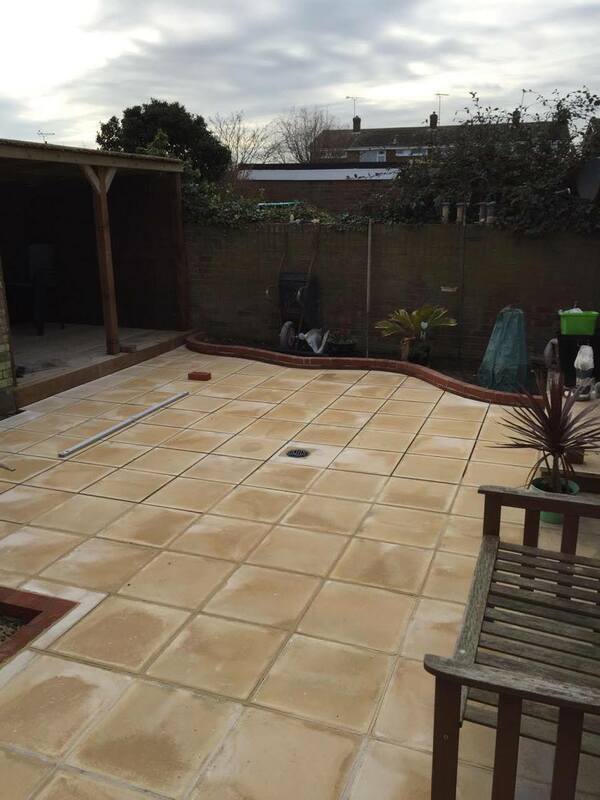 *** Landscape Gardening - Patios - Driveways - Paving - Garden Maintenance, Grass Cutting - Painting & Decorating - Fences - Decking - All General Maintenance Requirements ***. All of the above is carried out with fine craftsmanship, professional workmanship and high attention to detail.. 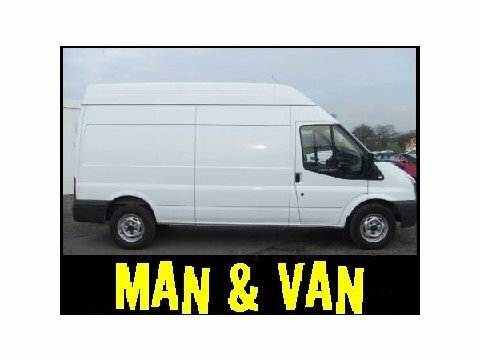 If you need any help with any the above, please call Ben Garrett on 07506 471621 or email paul-garrett@outlook.com..
Ben is based in Walton but will travel anywhere in Essex so please share for anyone requiring work in the surrounding areas.
. - Very professional and reliable. - Years of experience and expertise. Ben will be happy to come round to give bespoke advice and a free quote.. Photos and testimonials available on request. 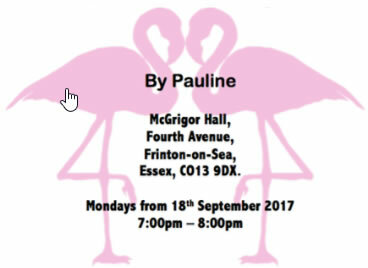 Fitsteps dance fitness class coming soon to Frinton-on-sea... Come and join in and have fun with the Uk�s fastest growing Ballroom dance fitness class. 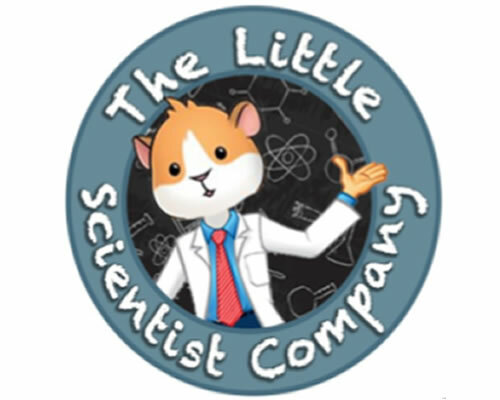 I am a tutor based in Great Oakley, just 20 mins from Colchester. I am tutoring for 11plus, SATS, and GCSE's. I have a few spaces available for this year, so please get in touch. 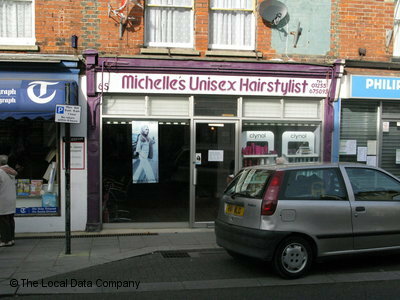 I offer a very friendly service, there is no hard-sell. I don't like the regimented and stressful approach, preferring to build confidence and work with your children at their speed. Property Maintenance. Storm Damage Service. We now have a calender for you to view days of the week that we have available to you in which service you would like us to provide. Framed Local Images for Sale at great prices. Finished item will be bigger with the framing. 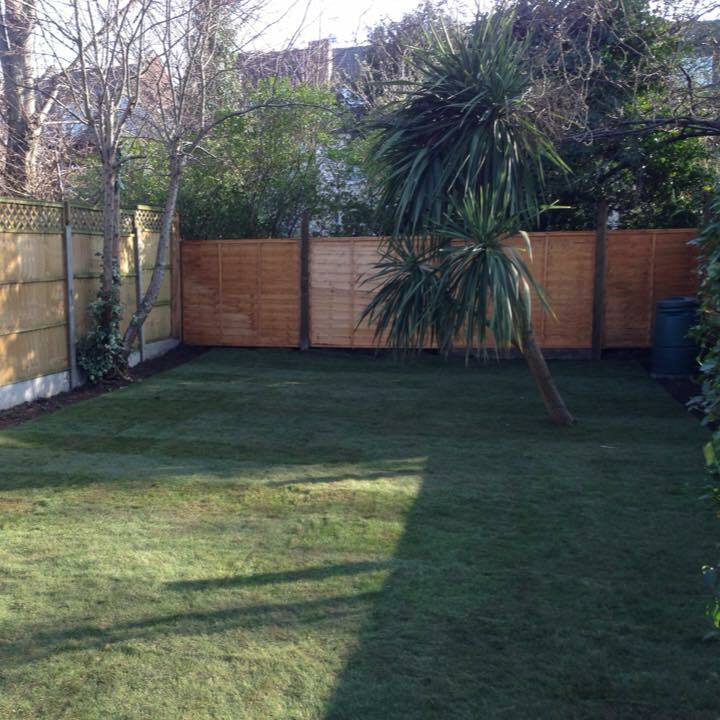 We are a small family run business whose sole purpose is to help you with any maintenance or landscaping jobs, Fencing,Sheds And Beach Huts . Being a smaller company means that we strive to give our clients the very best service, a more personal service, without compromising on the quality of any jobs that we undertake for you. 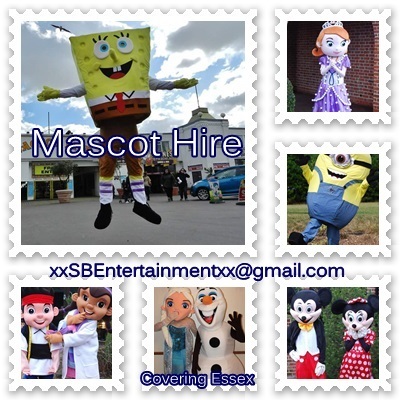 Mascots for Hire, Birthdays? special events? 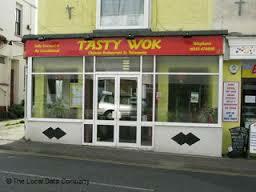 dine with a character? charity events? school events? 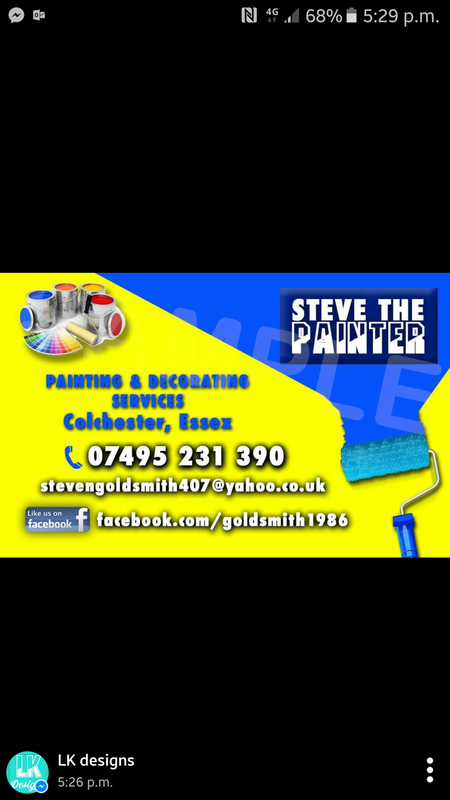 covering Clacton and surrounding areas. 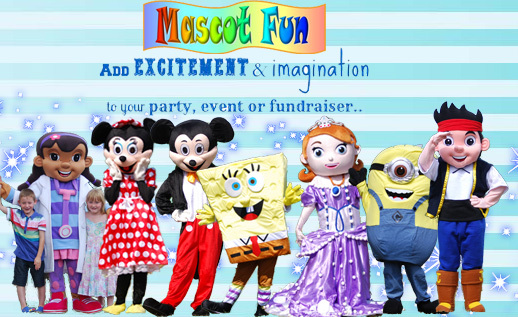 We provide many packages from partying with the characters to the full entertainment package including catering and inflatable hire. 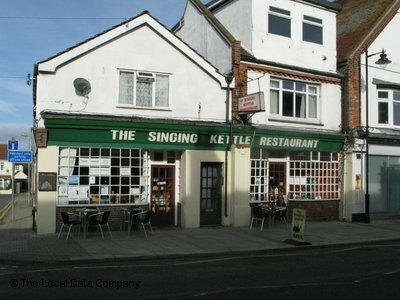 At the Singing Kettle we pride ourselves on a warm welcome, good old fashioned traditional HOME COOKED food and a relaxed dining area. We are happy for customers to provide there own wine or beer and we will provide the glasses (age appropriate). 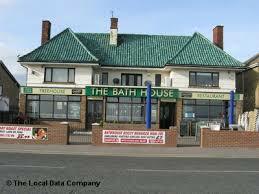 Families welcome, baby changing facilities, wheelchair access and disabled toilets available. We are open 6 days a week, (CLOSED MONDAY) and open late on Friday and Saturday. 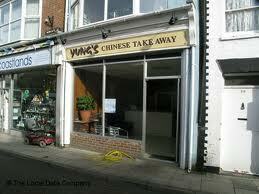 Large bookings can be catered for. 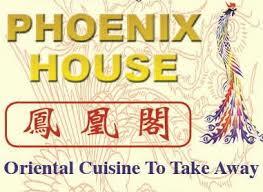 15% discount on your total bill, after 6pm, if you mention you are a FACEBOOK friend. Call 01255 675100 or 07779621249 to book. Sharan, Mark, April or Chelsea will be happy to help. Look forward to seeing you. We have over 25 year experience in the industry and were trained by British Gas serving a apprenticeship with them . We are trained in all aspects of the trade from servicing,breakdowns and installations. We have a 24hr call out service for emergencies, also have full liability insurance and our work is guaranteed. 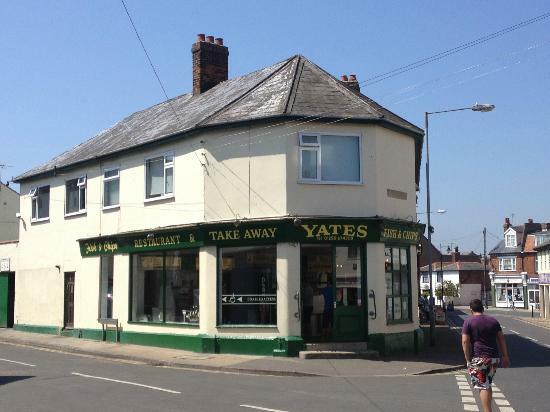 A family business, established in 1970. It is good to know when making any purchase or investment, that you are dealing with a company with strong foundations. Sound + Vision Electronics was established in 1970 by Chris Keeble I.Eng. FIET supported by his wife Sheila and brother Roy. His son Graham Keeble BSc. (Eng.) MIET is now the General Manager and daughter Amanda Gray is head of Finance. The main departments include Sales, Service and Installations, Accounts and Administration. Company activities include the sale of domestic appliances including TV and Audio, Washing Machines, Tumble Dryers, Cookers and much more. Also offering appliance rentals; system installations, aerial and satellite installations, electrical, solar PV, Audio and projection systems. 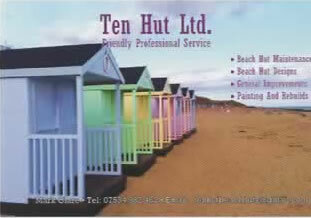 Making it summer with some professional friendly work on Beach huts down the Essex coast. Children's and Teenagers Party Entertainer. 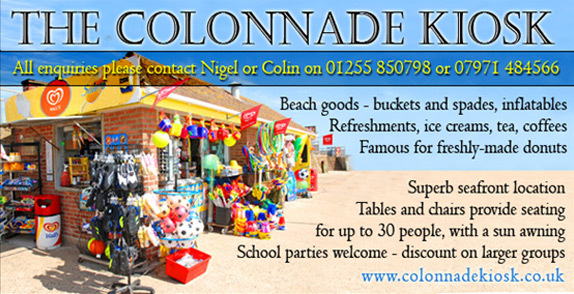 We provide a dazzling disco with flashing lights, bubble, smoke and snow machine's. Leave the entertainment to us, not just music but dancing, games with prizes, magic and balloon modelling. 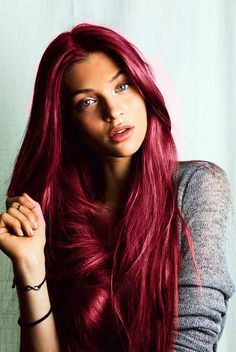 Unique Therapeutic Solutions to a wide range of issues and problems. 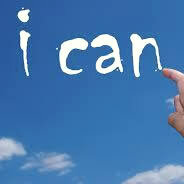 from weightloss and smoking cessation to anxiety and depression, confidence issues and stress reduction. We also offer counselling and moderation services. CNHC registered Healthcare Professionals for your complete assurance. Highly trained and qualified Clinical Hypnotherapist. 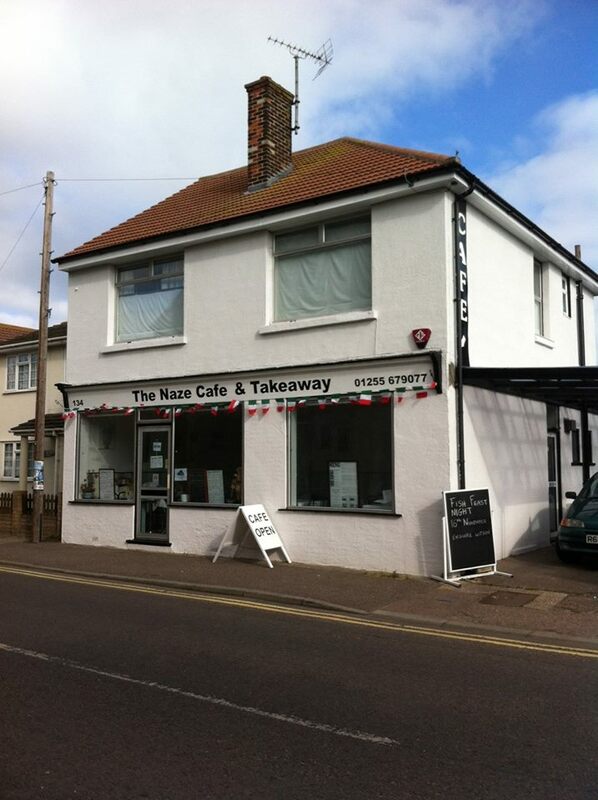 Hi, We're Ana and Rick and we have been running THE NAZE CAFE & TAKEAWAY for 24 years, we have seen a lot of changes in those years, but one thing we have not changed is how we cook our food. 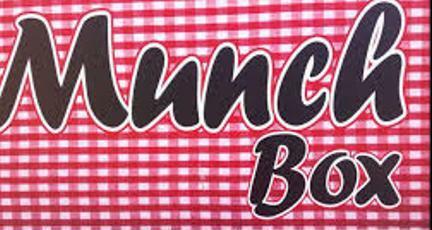 Our motto is "The home of home cooked food" as all our meals are always home made on the premises and nothing is bought precooked. 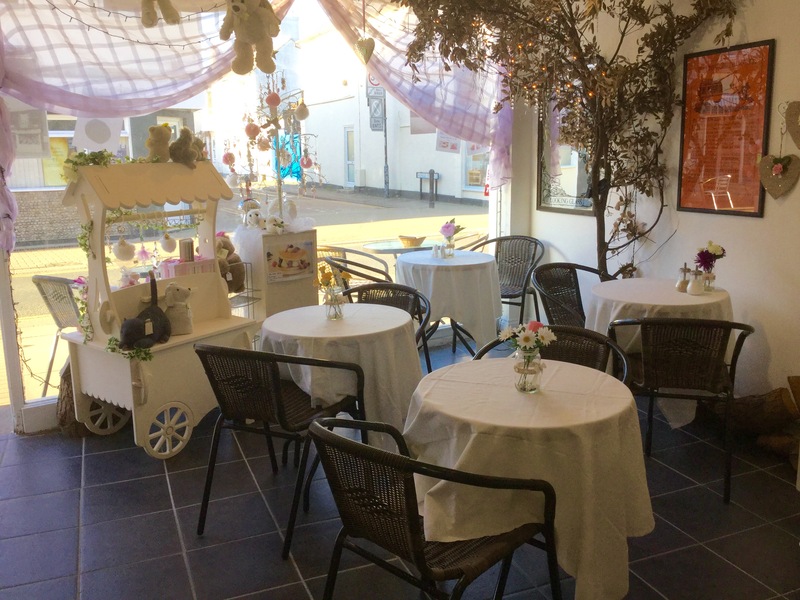 We serve a variety of meals from Breakfasts, omelettes, pasta, roast Sunday lunches, fish and meat courses, with a Chef's Specials menu for something different. We now host themed evenings on a Saturday approximately once a month, where we serve a variety of hot and cold foods, at a self-serve, eat as much as you like buffet. All the food at these evenings is always home made, we do not use pre prepared meals or sauces, so you can be confident that you will be getting food that is freshly prepared and cooked in a traditional manner. As we are unlicensed, you are welcome to bring your own alcohol, we do not charge corkage. 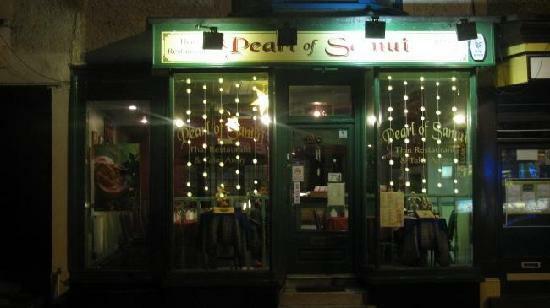 These evenings are held on a bookings only basis and always start at 7.00 p.m. 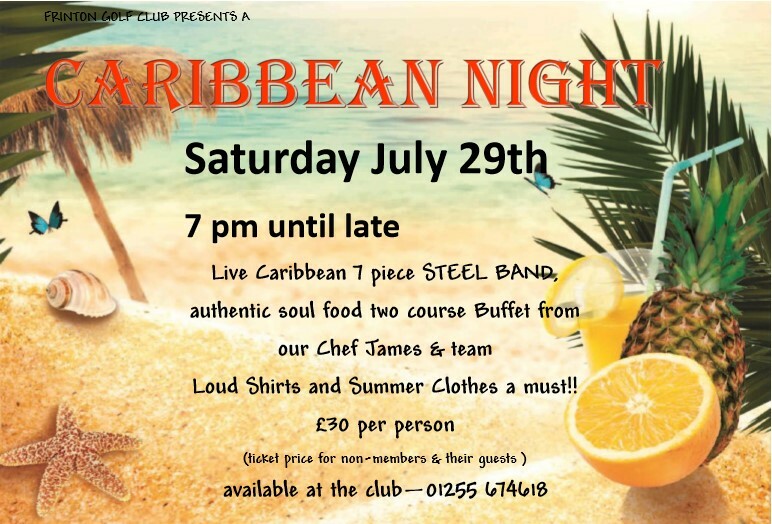 The cost will be £18 per person, with an £8.00 per head deposit to be paid at the time of booking or a minimum of 7 days prior to the evening in order to secure the booking. Thank you for taking the time to read this and we hope to meet you very soon. If your pain is stopping you from enjoying life visit the Tendring Osteopaths. We treat clients aged 4 to 94 years old with back, shoulder, knee, neck, hip pain. 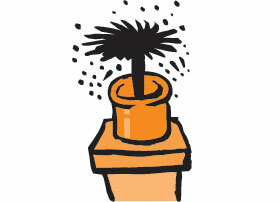 If you are struggling to get out from a chair, get dressed, go to work, exercise or do the gardening we can help you. Appointments available with a GP referral and no waiting list. 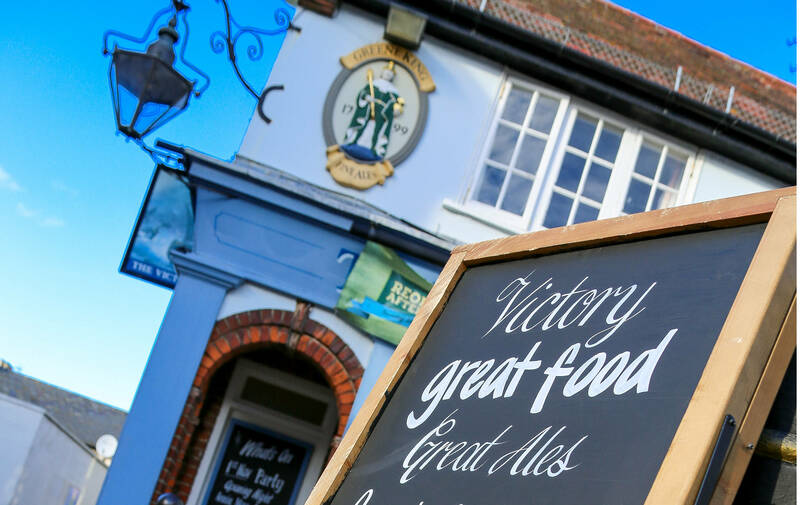 Real ales and great home cooked food. Steak night every Thursday. Book now for private parties, all events catered for. 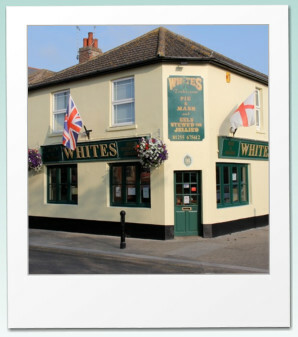 Plese visit our website for upcoming events and to view our menu. 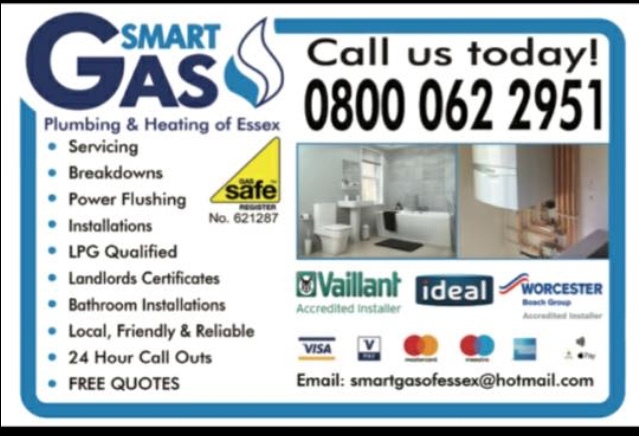 Bisar Ltd is an Essex based company which has a strong pedigree in the plumbing business. Over the years, we have served different clients both in the Commercial and Private capacity. The rave reviews that we have enjoyed attest to our prowess in our field. As a Family run business, we have continued to build on our success to create total satisfaction for our clients. We understand what it takes to keep you covered through our professional service. We take pride in our accomplishments as an enviable business that is reliable, highly skilled and committed to delivering a service that is top of the mark. 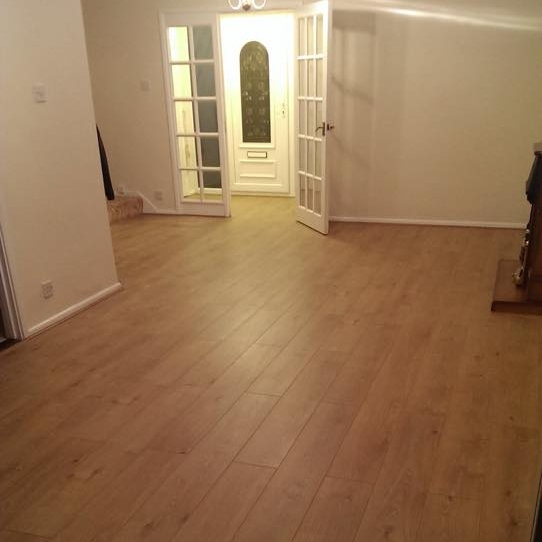 We have a very high standard which is matched by an affordable budget. Each time we take on your project, we can assure you of the guarantee of excellence in everything we do. We take away the ambiguities and create a platform that would solve all your plumbing needs without stress. Here at Bisar Ltd we KNOW we have taken all your concerns out of the way. 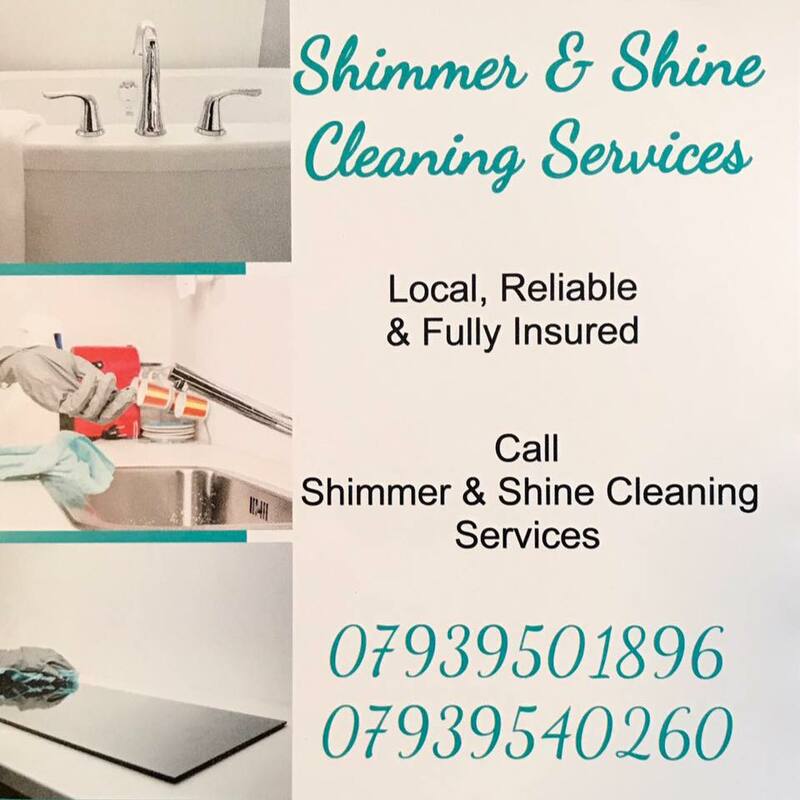 We are a family run business and take pride in delivering great service on all types of plumbing works, boiler installations, servicing and repairs, bathroom modifications and we supply and fit high-end kitchens to a classy finish. OUR PRICES ARE SIMPLY THE BEST YOU CAN FIND!!!! We have the right tradesman to handle other professional services which also carry our stamp of expertise. You can experience a world of unending possibilities when you engage our service. 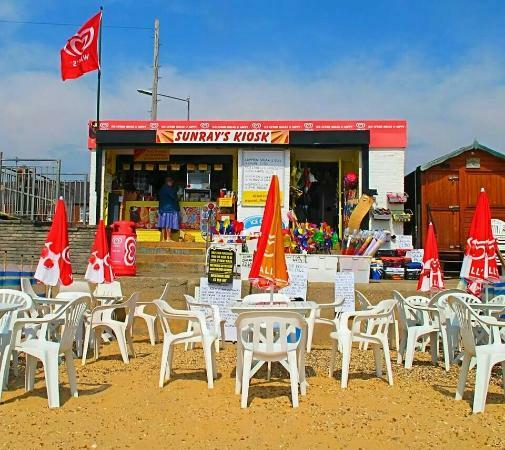 Every of our personnel in Bisar Ltd is fully certified, and we work with a small circle of trusted tradesmen, you are guaranteed of quality and personal service. When we look at what we have done for our wide range of clients, we are confident that we can make a positive difference in your world. Make a smart move today and contact us to handle your projects today. 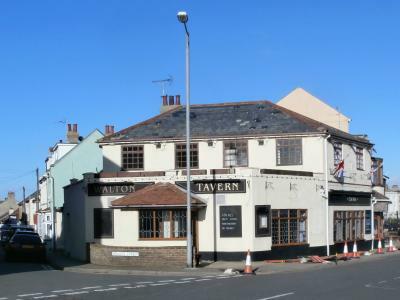 Seafront pub with function room/restaurant. .
Recording studio and services. 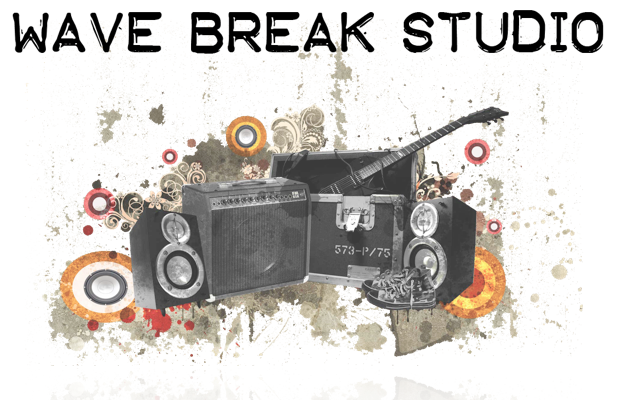 We provide professional audio recording, mixing and mastering from our small Walton based studio. We have had music played on BBC Radio 1, NRK Radio, Hollyoaks, and many others. We also create music for commercial and private use, and have experience with a wide range of music styles, from Rock/Pop/Modern to Classical/Choirs/Bagpipes. We can provide private music production training if required, and help you to get recording and mixing your own music. * We also operate recording at Unit One Studios in Colchester for larger projects. Woodberry's is a Holistic Retreat ~ Day Spa nestling on the cliff top along the Essex Sunshine Coast. Due to its unique position it not only offers privacy but peace and tranquillity. 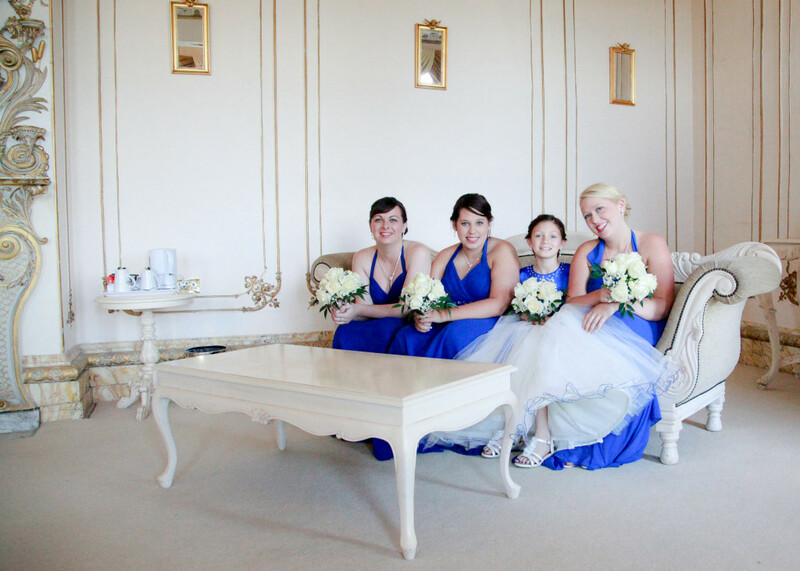 Woodberry's offer exclusive tailor - made packages to suit all budgets. Woodberry's works on an appointment only basis and does not do back-to-back client work. Woodberry's offer a range of over 70 different treatments ranging from Beauty ~ to Nails ~ to Western Holistic ~ to Eastern Holistic ~ to Healing. Woodberry's also offers 1-1 Independent Accredited Training in over 70 treatments. 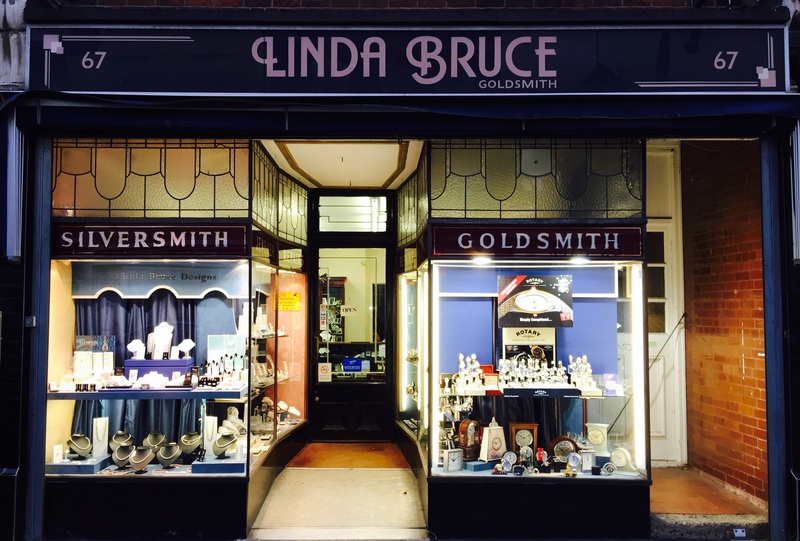 Woodberry's is run by Tina Mason who has over 26 years' experience in the industry and 18 years training experience. Tina has worked with a wide range of clients ranging from Foreign Royalty to Celebrities to Everyday folk, she was Consultant Aromatologist at Harrods and then went on to run a successful salon in King's Walk Mall, Chelsea. Tina undertook a four year training by the world renowned Professor Pierre Franchomme in Scientific Aromatherapy and today remains the youngest Scientific Aromatologist in the UK. Tina believes strongly in CPD and is continually adding to the already strong range of treatments on offer. 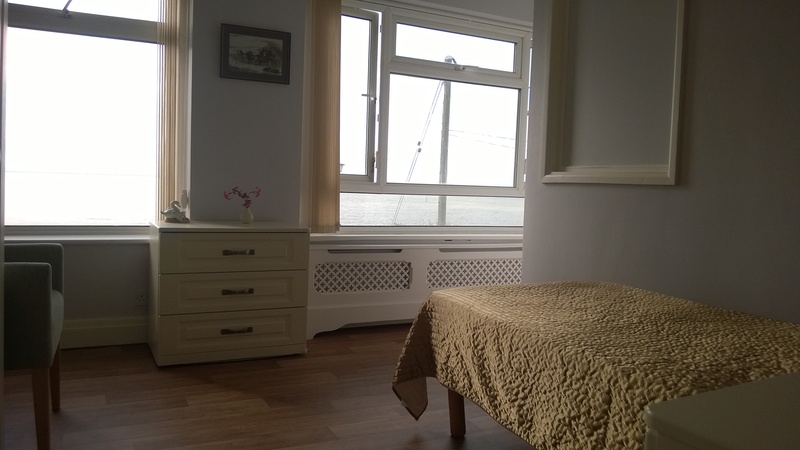 Woodberry's specialises in YOU, giving you the time you need to recuperate and rejuvenate. 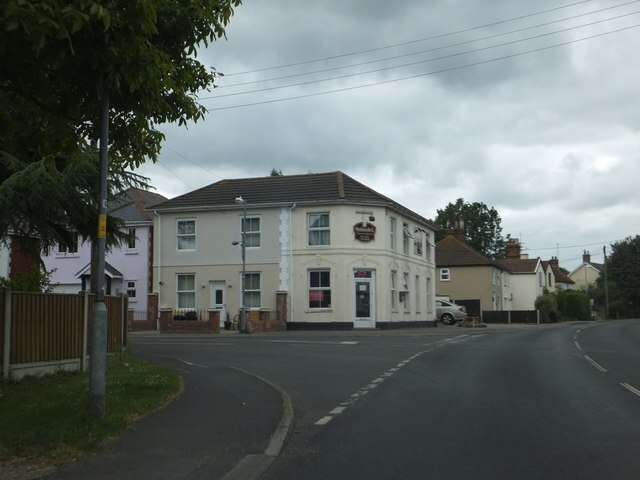 Woodberry's is a member of AAPA and CHNC, fully insured by ABT and has been inspected and approved by Tendring District Council. Please Note: All treatments will require a Consultation and if necessary GP Consent, some treatments will require 48 hour patch testing prior to the treatment.